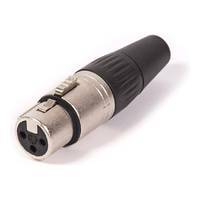 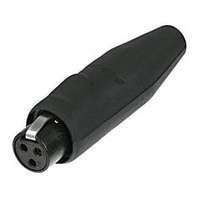 The REAN RT3FC-B-W Mini-XLR with Water Resistant Rubber Sealing Boot connector is designed for cable and chassis connections. 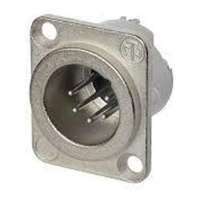 The easy-to-assemble robust metal connectors feature a shielded housing system for high RF noise immunity and EMI protection. 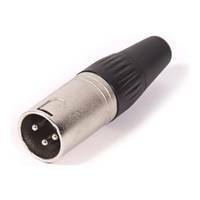 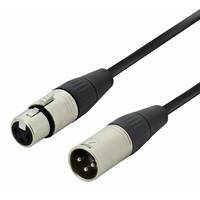 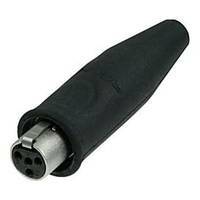 The REAN RT3FC-B-W connector is designed for cable and chassis connections. 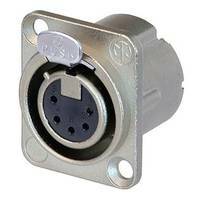 The easy-to-assemble robust metal connectors feature a shielded housing system for high RF noise immunity and EMI protection. 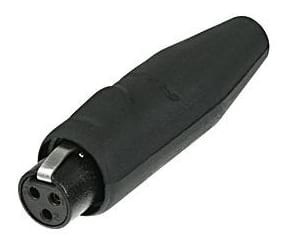 The intuitive and rugged locking mechanism provides a secure mating connection while a keyed insert and chuck helps to avoid mis-positioning/rotation of the cable while providing excellent million-fold chuck style strain relief.